Why choose Farrat for Ramp Acoustic Isolation? Ramps are a common architectural feature where there are acoustic floating floors. 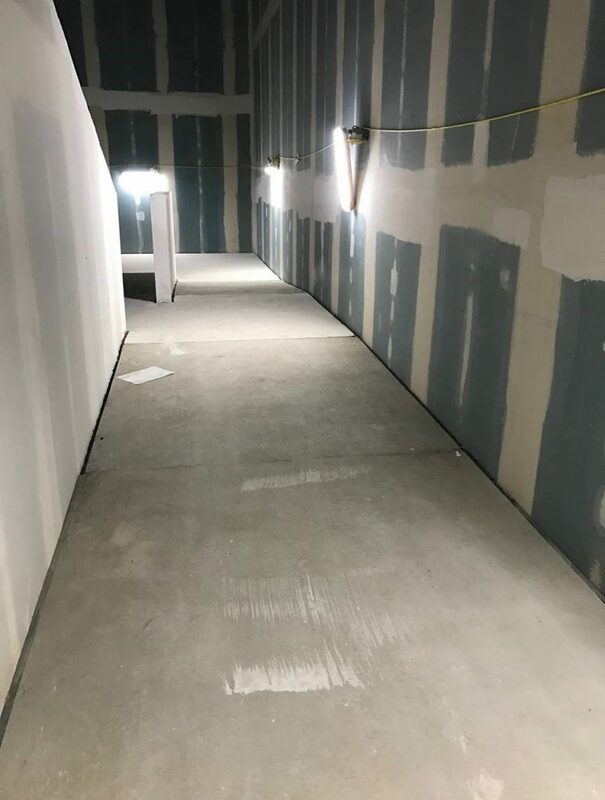 Transitioning from the build up height of the acoustic floating floor back to the structural slab level is usually far cheaper than raising the level of all adjoining floors. 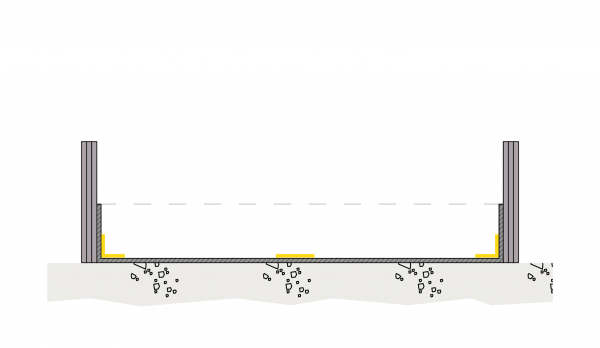 Ramp detailing may seem straightforward, however it is the installation item that most commonly features on snagging lists. 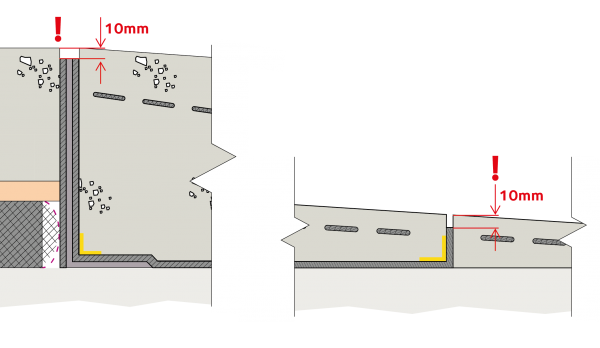 Using our experience from over 200 cinema projects, Farrat has designed out the common causes of installation defects to provide the most robust, acoustically isolated ramp detail possible. Careful consideration has been given to the interfaces and thresholds to ensure longevity, even under very heavy foot-traffic. 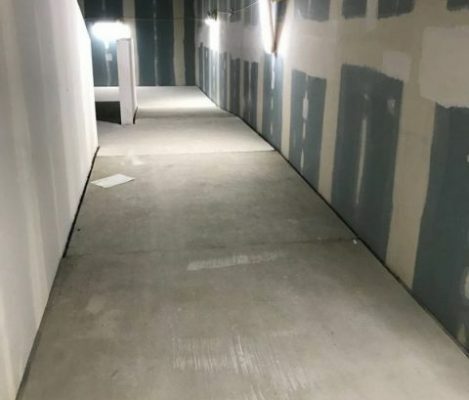 Providing acoustic isolation to a ramp in this way allows the highest possible levels of acoustic Isolation to be maintained despite reducing build-up height availability as the full acoustic floating floor transitions to a lower non-isolated floor. The detail is designed with ease of installation and durability in mind. Once finished with an appropriate covering (carpet or vinyl) it can be heavily trafficked without risk to the integrity of the screed or transition interfaces. Alternately, download the Farrat Acoustic Floating Floors Technical Guide for additional information. A permanent shutter (e.g. 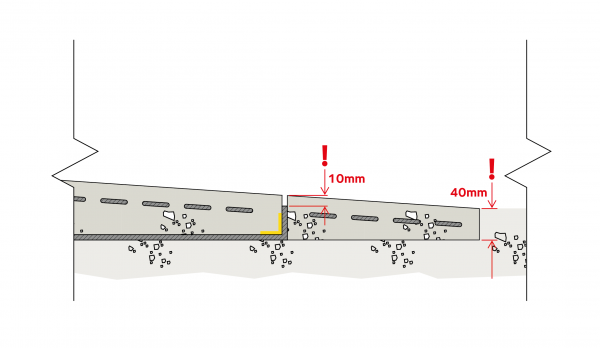 2 mm gauge galvanised steel) should be installed at the interface from the floating floor to the ramp which must be secured to the structural slab and isolated on both sides with 12.5 mm Farrat Favim FV10. Both the shutter and the Favim should be installed to a level 10 mm below the finished floor level, and a temporary packer (e.g. a 25 x 10 mm strip of timber) inserted to maintain the final 10 mm depth while the screed is installed. 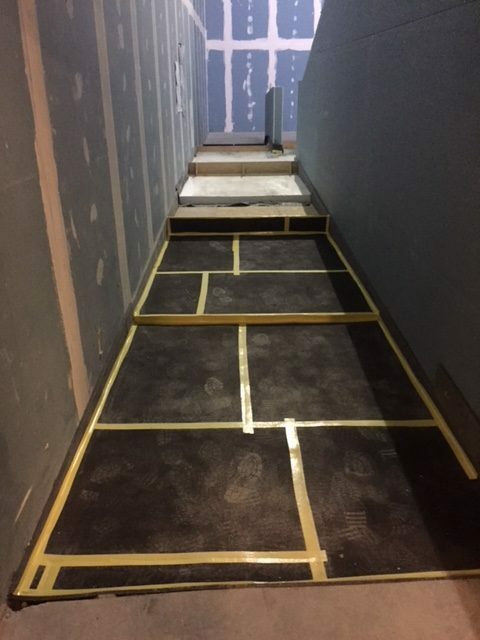 The base (interface with the structural slab) and entire perimeter of the ramp should be covered with 12.5 mm Farrat Favim FV10 with joints between sheets taped using 50 mm Farrat Joint-Line-Tape. As long as a semi-dry mix screed is used, no membrane is required before the screed is installed. 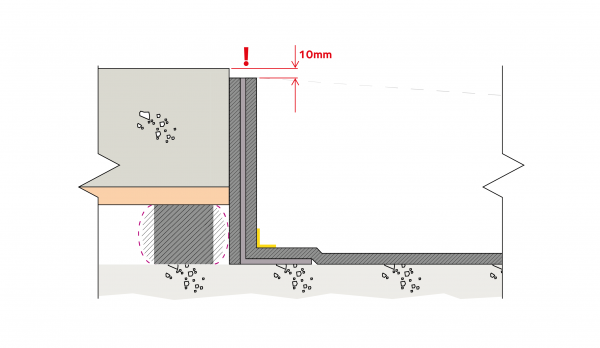 The screed must maintain a minimum depth of 40 mm (even for screeds that are quoted to provide a feather finish), therefore once the ramp depth is reduced to 52.5 mm, the Favim should be returned upwards to provide an isolation joint and the remainder of the ramp completed in un-isolated screed. To keep the screed above 40 mm thickness, it may be necessary to dig out some of the structural slab. It is imperative to follow the strict advice of the structural engineer when doing this. The 10 mm recesses formed at the top and bottom of the ramp should be filled with acoustic mastic that remains flexible when set and smoothed to provide an interface that will not interrupt the texture of a vinyl covering. We can offer design, site specific detail drawing, installation training and inspection services to provide the highest possible level of support when we supply our acoustic isolation products, however installation services for these specialist details are not available directly from Farrat. AcouStruct is a specialist contracting company, set up to act as a high-quality installer of Farrat Acoustic Floating Floors and other structural vibration isolation systems. AcouStruct’s core competence is to construct floating concrete slabs and other acoustically isolated building elements that are guaranteed to be 100% separated/isolated/decoupled from the surrounding structure to minimise any potential for mechanical bridging and noise flanking. We are pleased to recommend our premier approved installer AcouStruct Ltd for site installation works. Specification, Material & Installation Farrat’s friendly and helpful team can assist clients with a variety of high performance acoustic isolation solutions and damping materials. Our team of noise & vibration engineers can provide detailed guidance on the specification of vibration isolation and damping materials, high performance sound insulation detailing and structural vibration isolation solutions at any stage of design and see this to completion with the supply of the market-leading materials and installation guidance.